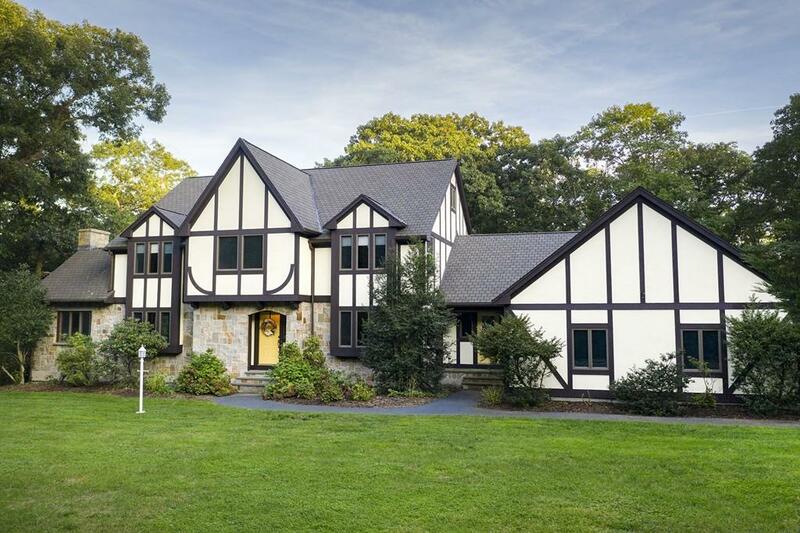 Stately English Tudor Manor located on a quiet lane off Jerusalem Road set on over 2 acres offers a private tranquil estate setting in a great neighborhood close to the ocean. Designed for casual living the home features an open floor plan with an impressive great room with rich wood beamed coffered ceilings & grand fireplace. French doors lead to both the dining room & vaulted sunroom with walls of glass to take in the natural beauty of the woodlands. The heart of the home is the kitchen with granite counters which opens to both a cathedral family room with fireplace & entertainment size deck. Master bedroom suite includes a private sitting room, spacious bath, double closets & a huge walk in closet. Second floor laundry. Walk up attic plumbed for an additional bath along with a full walk out unfinished lower level offers expansion possibilities & ample storage. PERFECT COMMUTER location minutes to train and boat to Boston. ALL HARDWOODS HAVE BEEN REFINISHED.